UNIVERSITY of Chichester's Professor Stephen Baysted has composed the music for TV chef Tom Kerridge’s latest series, Fresh Start. The six-part series airs on Wednesdays on BBC2 and on Saturdays on BBC1. In the series, celebrity Michelin-starred chef Tom Kerridge mentors a group of people to help them learn to cook and lead healthier, more active lifestyles. This is the latest success in Dr Baysted's career, who is Professor of Film, TV and Games Composition. He has been nominated for three prestigious Jerry Goldsmith Awards for best score, two Motion Picture Sound Editors ‘Golden Reel’ Awards for best audio in a game, a Golden Joystick Award for best audio and music in a game, and two Game Audio Network Guild Awards for best audio in a game. 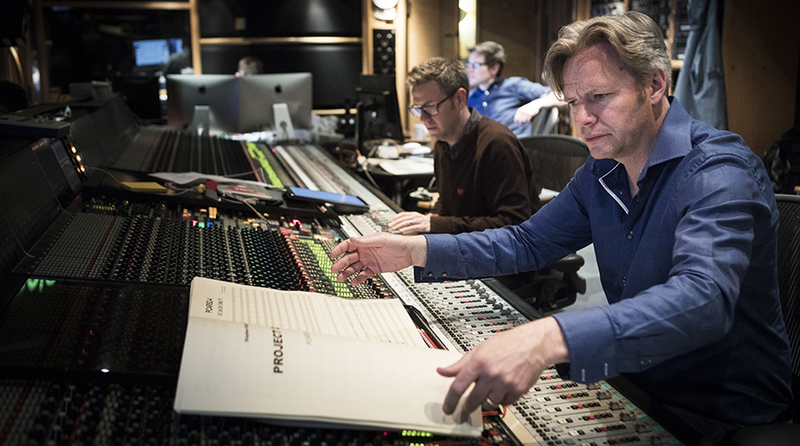 He continues to compose scores for video games, television and film. His recent projects include the number one best-selling AAA game scores: Project Cars and Project Cars 2; Red Bull’s Air Race: The Game; Electronic Arts: Need for Speed Shift 2: Unleashed and Need for Speed: Shift; Atari’s Test Drive: Ferrari Racing Legends; and Robert Kirkman’s: The Walking Dead: Assault. Stephen was recently appointed Editor-in-Chief of the world’s first academic journal devoted to the presentation of peer-reviewed, high-quality research into videogame music and sound, the Journal of Sound and Music in Games. The Journal is hosted by the Department of Creative Digital Technologies at the University of Chichester, based at the Tech Park on its Bognor Regis campus. For more information about the Department of Creative and Digital Technologies at the University of Chichester visit www.chi.ac.uk/department-creative-digital-technologies.